Below is an interview with Leah, who accepts services from Imagine!, conducted by participants in an Imagine! CORE/Labor Source Photography & Scrapbooking class. 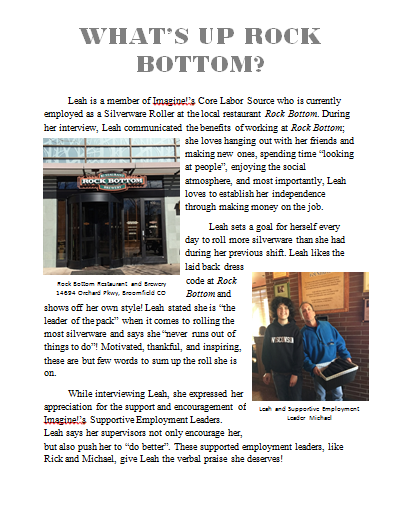 The class asked Leah a few questions about her job rolling silverware at Rock Bottom Brewery. Leah is a very motivated worker and also enjoys the time she gets to spend with her friends while at work. Keep up the good work, Leah!